Last month we welcomed Cora Kroeger and Joey Sechrist to the Land Bank team! We’re so proud of their work and pleased that we can help provide them relevant real-world experience. Say hello to Cora and Joey when you see them out and about in the community! Cora Kroeger, an Omaha native, hopes to be an integral part of her city’s developmental advancement and watch her community flourish. 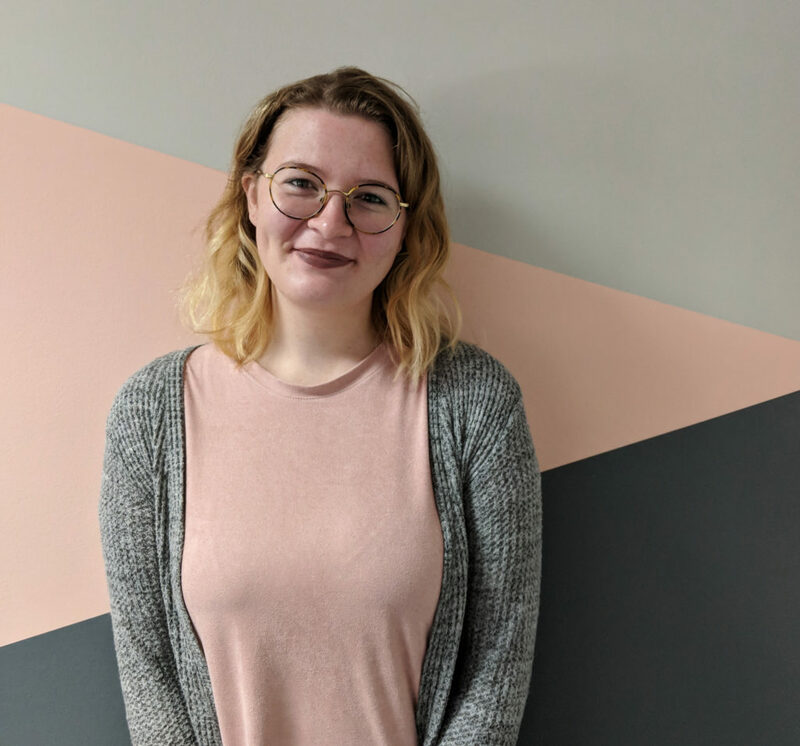 She is a senior at the University of Nebraska Omaha, where she is studying Business Administration with concentrations in Real Estate and Land Use Economics. As an intern with the Land Bank, Cora works in the Acquisitions Department, where she assists Acquisitions Director Mary Wells by contacting prospective sellers, updating the property database, and more. Cora is a strong believer in the Land Bank’s mission and wants to make a positive impact in her community. Cora loves the small-town vibes of Omaha, noting the physical closeness of the city and the general friendliness of the people. In her free time, she enjoys playing with her kitten and two dogs, reading memoirs, and honing her excellent hula hooping skills. After graduation, she would like to pursue her Master’s in Urban Studies. Joey Sechrist is from Toledo, Ohio. He recently graduated from Wittenberg University with his Bachelor of Arts in English. He decided to join Lutheran Volunteer Corps (LVC) after graduation due to the program’s dedication to social justice, sustainability, and intentional community. LVC is a year-long commitment to service during which volunteers work full-time for a placement organization and live together on a stipend. He is spending the year as a Communications Specialist with the Land Bank, producing written content, developing outreach tools, and managing social media. 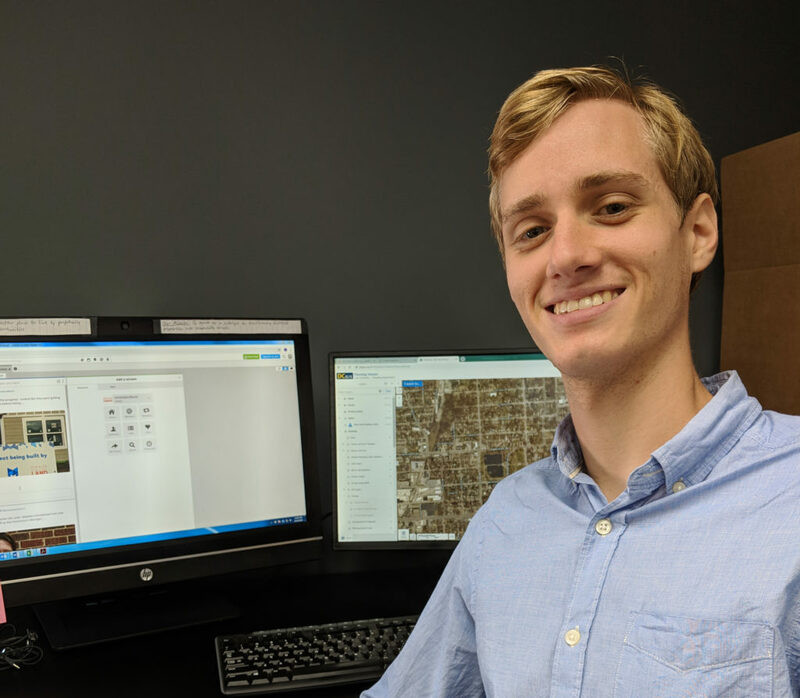 As a member of the Land Bank team, Joey is excited to develop public connections and firmly promote community interests. As a newcomer to Omaha, Joey is excited to learn more about the city and engage with his community. When he’s not at work, Joey enjoys reading political theory, learning new skills at the local juggling club, and cooking delicious vegan meals with his LVC housemates. After his service with LVC, Joey intends to pursue his PhD in Literature or Political Theory.